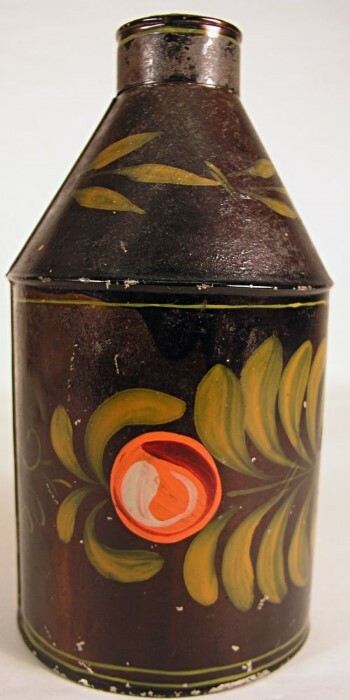 New England paint decorated tole ware tea caddy. Vibrant colors.. 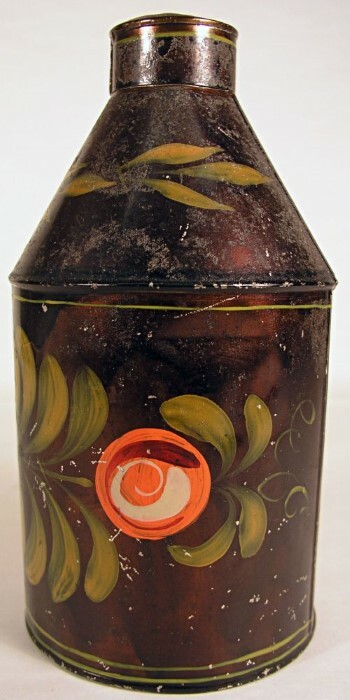 Vibrant colors in great original condition.